Now that the weather is getting warmer, consumers start thinking about updating their outdoor furniture along with their barbecue grill. Both of these product groups represent good potential for expanded metal. Expanded metal is strong enough for chairs, picnic tables, chaise lounges, settees, and other pieces of furniture typically used on porches and patios. Expanded metal grates that sit atop grills are strong and functional. Regardless of the base metal, the product can be coated with thermoplastic for a decorative look that also makes it impervious to weather. 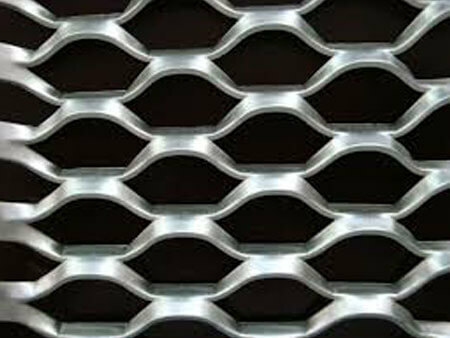 Expanded metal used for furniture, like all expanded metal products, is made by the same process of feeding metal through a multistage expanded metal machine that first flattens it, then cuts slits all over its surface, and then stretches it to create a lattice or diamond pattern. The metal that results is designated according to the measurement of the short way of the diamond (SWD) as well as by gauge, which usually indicates the weight per hundred square feet. The mesh that is used for furniture often has an SWD of ½” to ¾” and is considered intermediate mesh. 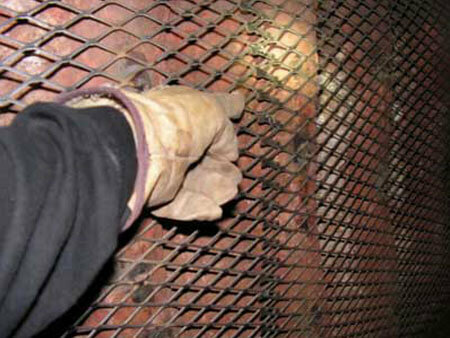 Aside from furniture, mesh with this SWD is also used for vents, chimney caps, lockers, grills, and much more. Aside from the SWD, expanded metal is distinguished by its gauge, the weight per hundred square feet, and the width and thickness of the metal strands. When the product is used for the grate on barbecue grills, in contrast to other outdoor uses, all of these variables might be greater so that the piece of expanded metal is thicker and heavier, with bigger SWD dimensions. Especially for furniture and even outdoor cooking equipment, expanded metal is frequently flattened so that it is smooth to the touch, more comfortable to sit on, and less likely to snag clothes or trap food. The flattening is done by running the metal through a cold roll reducing mill parallel to the long way of the diamond (LWD). As this sheet is flattened, the bonds and strand of the metal are turned down so that the surface is smooth and flat, while the LWD becomes even longer. The advantages of expanded metal are used to great effect in furnishings. The process is “green,” in the sense that there is no scrap in the manufacture. Material is reconfigured in the stretching process, rather than removed as with perforated metal. Metal furniture has a sleek, industrial look about it when used in its natural state, while coated furniture is both trendy and resistant to rust. Since the product won’t unravel, expanded metal furniture is durable, strong, and rigid enough to endure outdoor conditions. There are no size limitations on the finished product. The diamonds allow for easy flow of air, liquid, or light, which makes the furniture stay cool and clear. If your business is manufacturing outdoor furniture, you should consider making expanded metal in-house. 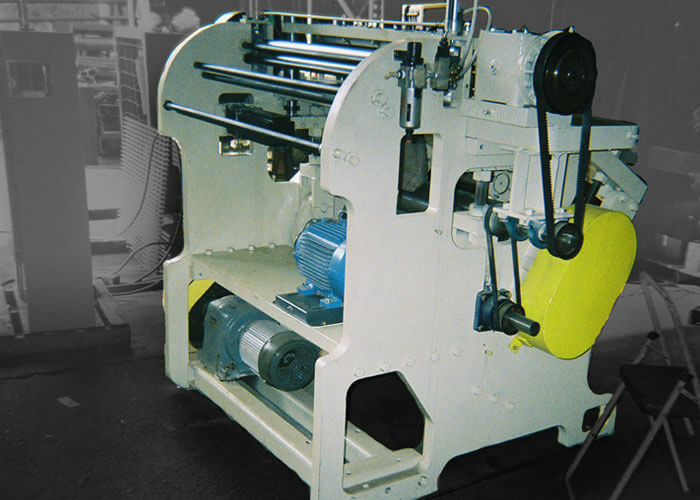 Adame EM Solutions offers both the equipment and engineering and consulting services and can adapt machinery to your needs. Contact us today to see how having the right equipment can make you competitive in the outdoor furniture marketplace. When you add fixed and mobile storage to your warehouse or stockroom, you want the shelving units and storage carts to be strong enough to support products and inventory, while allowing air and light circulation. Expanded metal is an excellent material for shelving and storage, and even utility carts. Known for its diamond pattern, expanded metal is made through a multi-stage manufacturing process that first flattens it, slits it, and stretches it to form. The appearance of the diamond opening varies according to the amount of stretching; what starts out as a rhombic or diamond shape can be stretched to assume a hexagonal or other custom shape. Depending on its application, the holes can be different sizes, while creating sheets of material with a high strength to weight ratio. During the production process, the metal can be expanded up to 10 times its original size while losing 80% of its original weight per square foot and retaining its shape and rigidity. The metal can be easily fabricated into units of various sizes and shapes and welded or otherwise fastened to posts, supports, and frames to make versatile units that meet any need. Used in many applications, the product can be made as thin as foil or up to an inch or more thick. The manufacturing process makes it stronger than perforated metal, so that shelves won’t buckle under weight, even if they are a relatively low gauge. The openings can be customized in different sizes to accommodate whatever will be stored on the shelves or carts. When used as shelving, expanded metal is often made of stainless or carbon steel to give it the strength it need; but, it can also be made of many other metals including aluminum, bronze, nickel, brass, copper, and titanium. Expanded metal is often powder coated to make it more attractive, or to color code different storage areas. While leaving it in its natural state or black spray coating are popular for many applications, powder coating improves durability and longevity. Greenhouses use expanded metal shelving to hold grow trays that are self-draining and self-ventilating. Store shelving and display panels allow visibility from all sides. Holes in the product make it easy to attach signage. Food carts made of expanded metal are self-cleaning. Mobile shelves can be used for operations such as part washing. Three sided mesh trucks allow easy transport around the shop. Residential shelving made of expanded metal is appealing in converted housing with an industrial feel, and practical in garage storage. Expanded metal offers impressive possibilities for companies that make shelves and carts. Providers of equipment and engineering expertise in expanded metal applications, Adame EM Solutions is happy to consult with you about ways to apply our technology to your business. Contact us today for turnkey solutions, equipment, and design service.